The Heron Course is one of two 18-hole courses at Cardinal Lakes Golf Club . It is the club's newer championship layout, designed to complement the original course, the executive-length Sparrow. Cardinal Lakes Golf Club offers two 18-hole courses, a championship and an executive. The Sparrow Course is the original executive layout and while it may only be 4,909 yards, it offers the same challenges as its championship sister course. 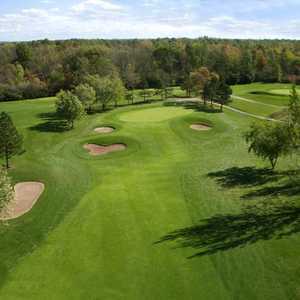 The 18-hole Water Park Golf Club in Welland, ON is a semi-private golf course that opened in 1961. Water Park Golf Club measures 5312 yards from the longest tees. The course features 2 sets of tees for different skill levels. Greens and fairways are bent grass.